Blackman Farm Apple Sale, Blackman Cider Co. Hard Cider Tasting, Cider Slushies & Caramel Chocolate Apple Orders! Saturday, November 10 & Sunday, November 11. 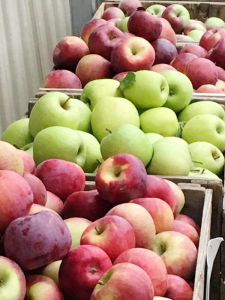 We’ll have fresh boxes of Crispin, Jonagold, Cortland, McIntosh, Ida Red, Empire, Macoun, Golden Delicious, Red Delicious and more! Cider Slushies on Saturday & Sunday too! 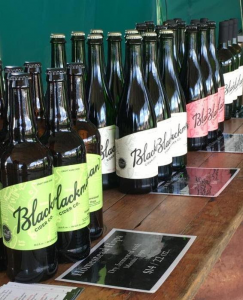 Also sample our Blackman Cider Co. Perfect to stock up for the holidays! Saturday, November 10 from 11am – 3pm. Offering case discounts up to 30% off on certain varieties! Order Chocolate Dipped Caramel Apples for your Thanksgiving Festivities! A hand-selected Blackman Farm Crispin apple, dipped in caramel, dipped in milk chocolate and sprinkled with walnuts, created by All That Chocolate in Wilson, NY. Also available without nuts and drizzled with white chocolate. Beautifully packaged, making it a perfect hostess gift or special dessert!